Whether or not Obamacare will explode in the near future is a matter of debate. But if it does, it likely wouldn't be a massive death spiral across all 50 states. It would die in specific regions because all the insurers there pull out. Knoxville, Tennessee, may be the first place where Obamacare fails. 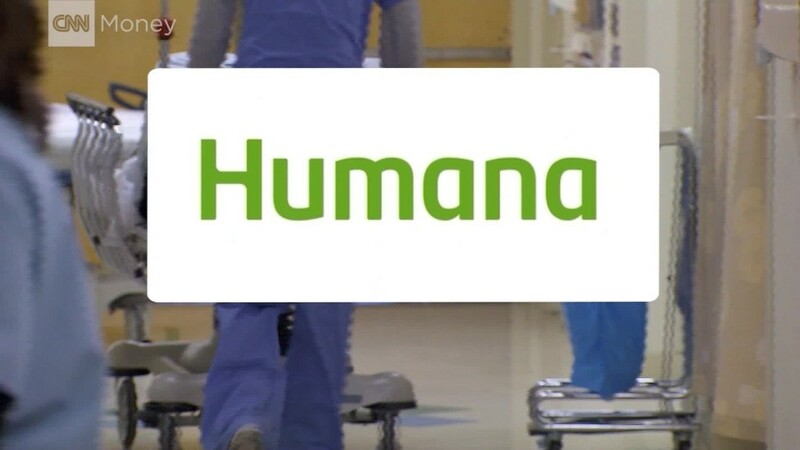 Humana (HUM), the only insurer on the exchange there, is exiting the market in 2018. Unless another carrier steps in, roughly 40,000 people in the 16 counties in and around Knoxville could be left without the option to buy a subsidized insurance policy. The lack of competition on many of the exchanges is one of Obamacare's biggest problems. One in five consumers have only one choice this year, up from 2% in 2016, according to the Kaiser Family Foundation. Pinal County in Arizona almost became the first Obamacare casualty last year after Aetna (AET)scaled back its participation. But the Obama administration and state regulators worked to bring Blue Cross Blue Shield of Arizona back to that area, said Cynthia Cox, associate director at the Kaiser Family Foundation. It had pulled out earlier. Knoxville residents, however, may not be as fortunate. Insurers in Tennessee and nationwide are even more skittish about playing on the exchanges with all the uncertainty surrounding President Trump and Congress' plans to repeal and replace the Affordable Care Act. More large players, including Anthem (ANTX), Aetna (AET) and Molina Healthcare (MOH), have said they are evaluating their involvement next year. Insurers have to start submitting their 2018 plans and premiums in coming weeks. Tennessee already lost three other insurers in recent years. UnitedHealth and Assurant Health both pulled out, while Community Health Alliance, the state's co-op insurer failed in 2015. Premiums jumped between 44% and 62% this year. Tennessee Insurance Commissioner Julie McPeak said she has had many "challenging conversations" with the state's two remaining insurers -- BlueCross BlueShield of Tennessee and Cigna -- about covering the Knoxville market next year. The carriers, however, want more flexibility to limit their exposure to sick, costly enrollees, she said. For instance, they are concerned that Obamacare eliminated their ability to cap their lifetime payouts to their policyholders. "I'm not optimistic that one of our existing insurers would like to expand their coverage area without some changes to the regulatory system, either by Congress or the administration," said McPeak, who has criticized Obamacare. Although the House has shelved its health care bill, Health Secretary Tom Price still wields a lot of control over the regulations governing Obamacare. He's expected to loosen the rules where he can. Insurers have until July 1 to file their 2018 plans in Tennessee, but they'll likely make their decision in the next month or two. Cigna said its participation depends on market conditions and regulatory approval of its policies. BlueCross BlueShield said it is still reviewing its options. "The current uncertainty makes it difficult to assess what our product offerings for 2018 might be," said Roy Vaughn, a senior vice president at the insurer, which has lost more than $400 million on the exchange over the past three years. "All options are on the table for 2018." If all carriers drop out of Obamacare, Knoxville-area consumers can still purchase individual market policies outside of the exchange. But they won't receive subsidies to help them pay the premiums. There are three companies -- Aetna, Freedom Life Insurance and Tennessee Rural Health -- offering coverage there, although not all of them provide the same benefits and protections as Obamacare. Looking to assist those who may not have any insurers on their exchange next year, Tennessee Senators Lamar Alexander and Bob Corker last week introduced a bill that would allow consumers to use their Obamacare subsidies to buy policies outside of the exchanges. The legislation would also exempt them from paying the penalty for remaining uninsured.